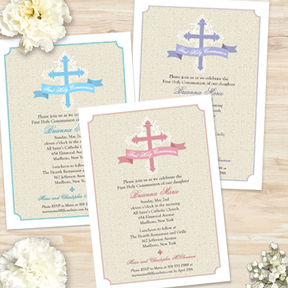 Mark this holy occasion with an invitation that will make your child shin as bright as their special day. 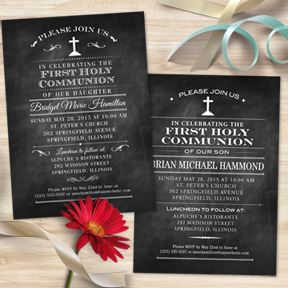 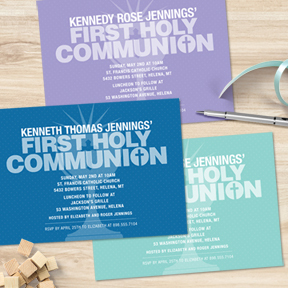 Our communion invitation and announcements can be geared toward boys, girls or can be unisex appropriate. 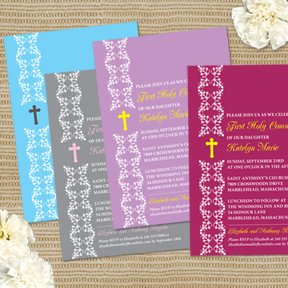 We even carry other paper goods such as cupcake toppers, bunting or stickers to help make their First Holy Communion even more memorable.